On Saturday, two gun rights advocacy groups will be staging a mock shooting protest near the University of Texas at Austin in support of the new state law allowing guns on all public school campuses. 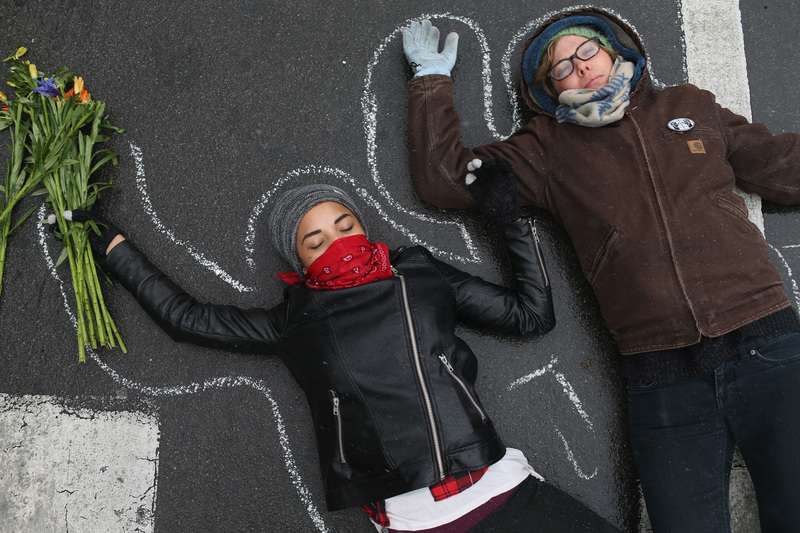 This type of protest is uncommon, so you might be asking — well, what is a mock shooting protest? As characterized by DontComply.com and Come and Take It Texas, the two groups who are hosting the event, the protest is a "dramatization depicting the dangers of victim disarmament zones." Murdoch Pizgatti, one of the event organizers, told the Houston Chronicle that no real guns will be used in the event. "It's basically going to be a hostage situation where people are shot, and then the one person with a concealed handgun will come in and save the situation and reduce the body count," Pizgatti said. "It's pretty much going to be portraying the incidents in gun free zones and why they happen. The bad guys don't obey gun free zone signs and good people do." However, there's little to no evidence that scenarios like this one ever happen in real life. Yes, there are isolated incidents of armed civilians being present at mass shootings, but none ever stopping a gunman from killing innocent people. "Many of these shooters intend to die, either by their own hand or by suicide by cop. There was an armed guard at Columbine. There were armed campus police at Virginia Tech. The presence of armed security does not seem to be a deterrent," clinical psychologist Dr. Peter Langman told Politico in October, in the aftermath of the Umpqua Community College that killed nine people. Like UT, UCC has an open carry law, but the armed students who were on campus at the time had no impact on the shooter's actions. UT Austin was the site of the nation's first mass shooting on a college campus in 1966, when a sniper killed 14 people from atop the iconic clock tower in the center of campus. Despite the campus' bloody history, lawmakers and college administrators have agreed to move forward with a campus open-carry law effective Aug. 1, 2016 — 50 years to the day of the UT Austin shooting. Over 200 people have RSVP'ed on Facebook for Saturday's mock shooting protest, which will be preceded by an open carry march through the streets of Austin, but it's far from universally supported. The UT administration banned the protest from occurring on campus grounds and several professors have spoken out against the event. Radio and television professor Ellen Spiro told the Houston Chronicle, "This is a deep insult to the memories and lives of every American that we have lost to gun violence."